Lily, Rose, Sunflower, Apple Blossom, Trumpet Vine and Forget-Me-Not (16" x 16"). Reverse applique stems and leaves with Applique blossoms. 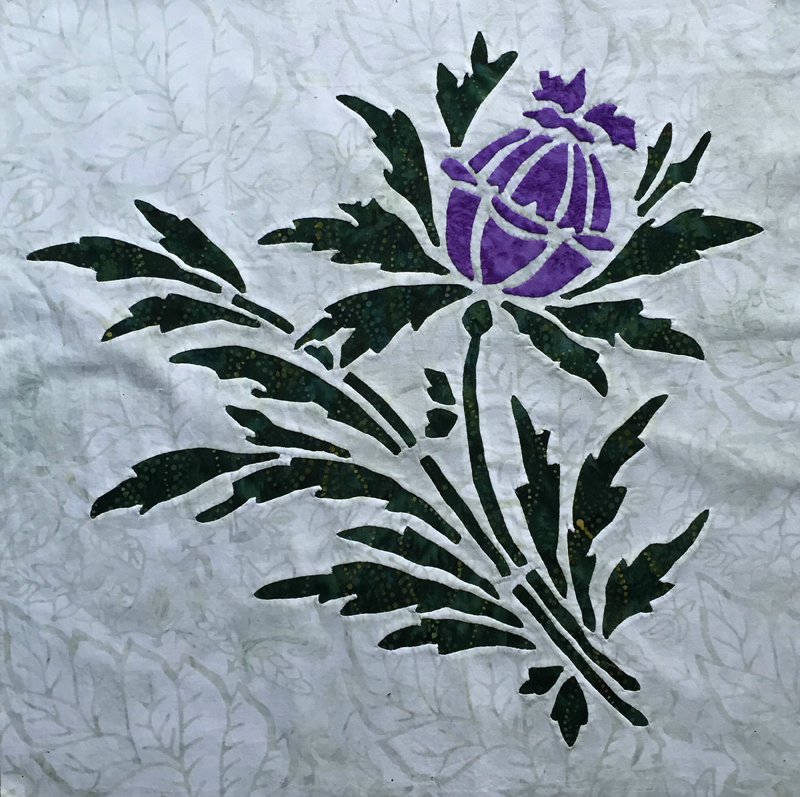 Thistle (16" x 16"). Reverse applique stems and leaves with Applique blossoms. 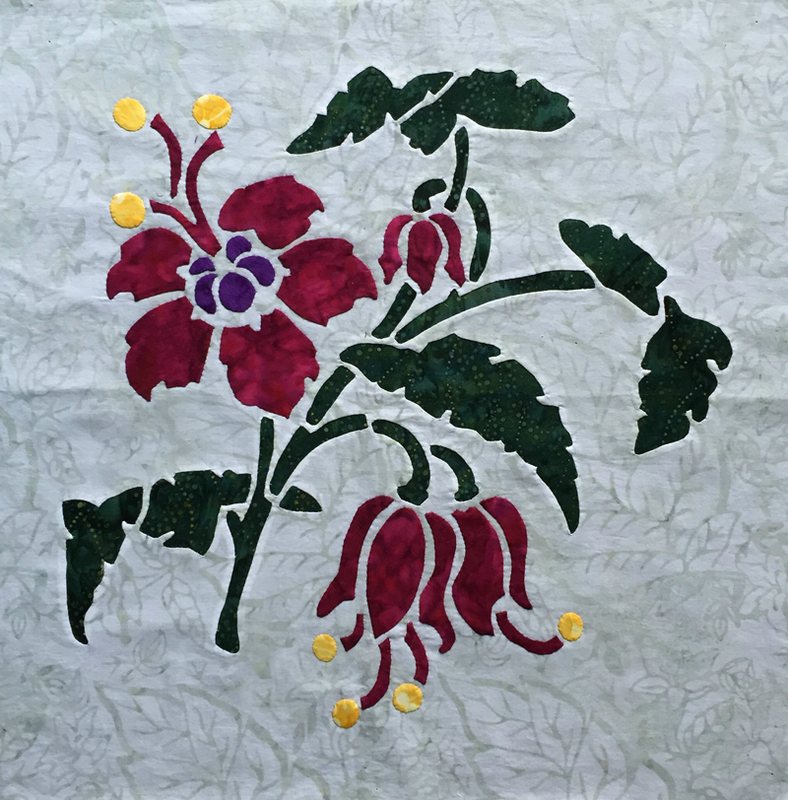 Learn how fun and easy it is to add dimension to your quilt with appliqué and reverse needle-turn appliqué by hand while creating one of our beautiful flowers. Which will you make first? The Lily, Rose, Apple Blossom, Sunflower, Trumpet Vine, Thistle, Fuchsia or our newest, the Iris? 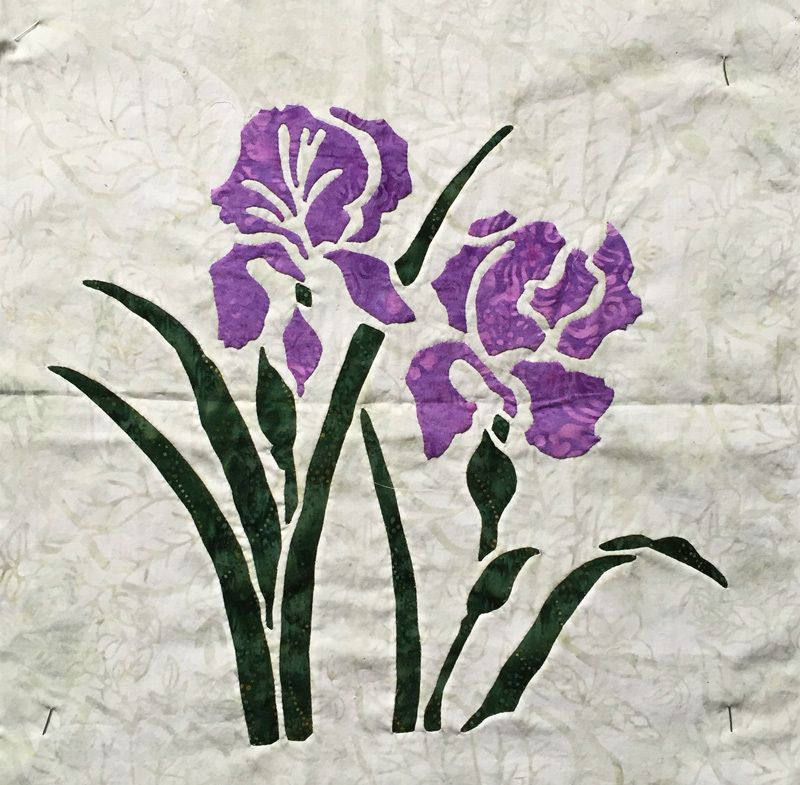 Each flower makes a 16” block that may be put in a quilt of your own design, finished as a pillow, or used in our Victorian Flower Garden Quilt(applique sashing, borders and quilt assembly pattern coming soon). Fuchsia (16" x 16"). Reverse applique stems and leaves with Applique blossoms. Hand appliqué is a labor of love that's fun and easy when you use our process- Trace! Baste! Snip! & Stitch! Come join the fun! Become comfortable and skillful as you stitch. You will gain great control over your piece, have sharp points, crisp corners and graceful circles. You will love the results you get and you don’t get hung up on the pins. I will lead you step by step through the process, start to finish, empowering you to do reverse needle-turn appliqué by hand, do it like a pro. And enjoy it! Iris (16" x 16")-not yet on the website. Reverse applique stems and leaves with Applique blossoms. Pattern, needles, scissors, basting thread and needle threader may be purchased from instructor, or on our website.